Inverness Caledonian Thistle are delighted that three club employees have completed Mental Health First Aid training. David MacFadyen, Head Physiotherapist, Chaplain Rev. 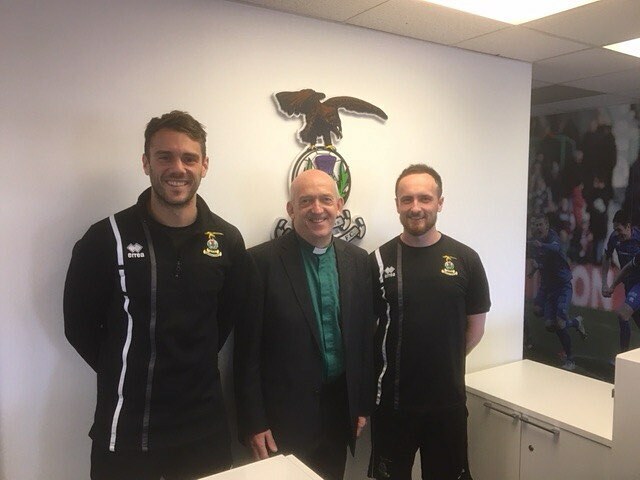 Hugh Watt and, Community Coach, Scott Ross have completed the Mental Health First Aid training as run by the Chris Mitchell Foundation and SPFL Trust. The courses are free to attend and the content of the course involves an overview of mental health illnesses; signs and symptoms; practical advice for discussing all things mental health and positive wellbeing/mental health training advice. The club is delighted to have people with this training working within the club. ICTFC are also pleased to support Mikeysline Charity, who run a text and phone line for those struggling with mental health problems.